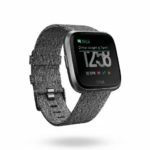 You are here:Home-Recommendations-The best fitness watches & GPS sport watches 2019 from our reviews! The best fitness watches & GPS sport watches 2019 from our reviews! 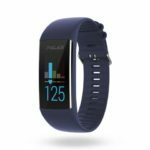 We have gathered up the best fitness watches, sports watches and fitness trackers for you also for 2019 from our reviews and experience reports. We had them all on our wrists and often tested them over several weeks during sports and everyday life and can therefore assess them well. We organize the numerous wearables into different categories so that you can navigate faster to your personal test winner. Among other things we use categories for sports like running, cycling, swimming, multi-sport or also equipment categories like fitness watch, sports watch, fitness tracker or Smartwatch. A piece of equipment that is convincing as a complete package or that is particularly good at certain characteristics is included in the list of the best watches. In the current model year, the trend is towards fitness watches and sports watches with larger and better operable displays. We have scrutinized many of them in individual tests. This article of the best fitness watches, sports watches & fitness trackers is constantly updated, new models are already in the starting blocks. Which fitness and sports watches will be tested? How many will make it into the best list this year? Already on the market for some time, but still one of the best running watches with GPS and an integrated heart rate sensor. The heart rate sensor has nothing to fear from a chest strap. Furthermore, it is waterproof, supports smartphone notifications and current weather data and can optionally be coupled with ANT+ running and wheel sensors. The good Garmin App and the web portal offer a lot of evaluation possibilities. The Forerunner 35 is particularly suitable for sports enthusiasts who are new to running and convinces with its simple operation. The heart rate sensor and the good settings and running options such as virtual pacer and interval training are also suitable for advanced runners. The 24/7 Activity Tracker helps you to assess your own activity level and motivates you to do more. The good display, long battery life, appealing design and smart features make Garmin’s beginner’s running watch more than just suitable for everyday use. If you have even more training options and the desire for customizable workouts, check out the Forerunner 235. There are very few GPS fitness watches out there that deliver as much fitness data for multi-sporters (especially runners) as the FR645, while at the same time supporting smart functions. In addition to standard data such as time, laps, speed and distance, it determines running efficiency values such as stride frequency, ground contact time, vertical movement, stride length, vertical ratio, ground contact balance as well as lactate threshold, performance status, stress score as well as the current fitness level (VO2max) and much more. The FR645 also has a recovery guide (optimal regeneration time), gives a best time forecast and can guide the athlete through his training with audio hints (in conjunction with Garmin Connect). The Garmin FR935, Garmin Fenix 5 and its Plus variants can however do vene more, but for these, however, you have to reach deeper into your pocket. For competitive athletes and professionals it’s less suitable, but it’s better for the everyday athlete who wants to track different sports more than likely. Precise GPS receiver, integrated optical heart rate monitor, activity tracker and a good software environment provide an all-round view of your own fitness. The Ionic will soon be able to detect sleep apnea, atrial fibrillation and other heart diseases, says the manufacturer. Garmin’s high-tech products are not a thing of the past as they offer a multi-sport mode that allows triathletes to seamlessly record their activities. The fitness watches are versatile, expandable and very accurate in their readings (such as GPS, speeds, etc.). They are now also available with an integrated heart rate monitor (Fenix 5 HR or Fenix 5 Plus series). A good app, the good web portal, pre-defined and customizable training plans round off the GPS multi-sport watches. Both watches are suitable for everyday use, whereby the 735XT is a lightweight. As an alternative and a bit cheaper you can also take a look at the predecessor Fenix 3. Some Suunto models also support a seamless multi-sport mode. The Ambit3 Run should be avoided because it doesn’t support swimming or wheel sensor coupling. The Ambit3 Peak and Sport models are recommended. 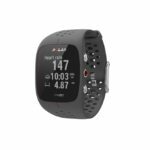 Open water swimmers will love the Ambit3 Peak/Sport, because hardly any other GPS multi-sport watch does its job so well here. The main difference between the Ambit3 Peak and the Sport is the barometric altimeter. Polar’s top product for versatile athletes. GPS, many sports, activity tracker, integration of many sports sensors possible, good software environment. Since already longer on the market, cheaper in the trade to have. Vivosport is the all-rounder among fitness trackers. 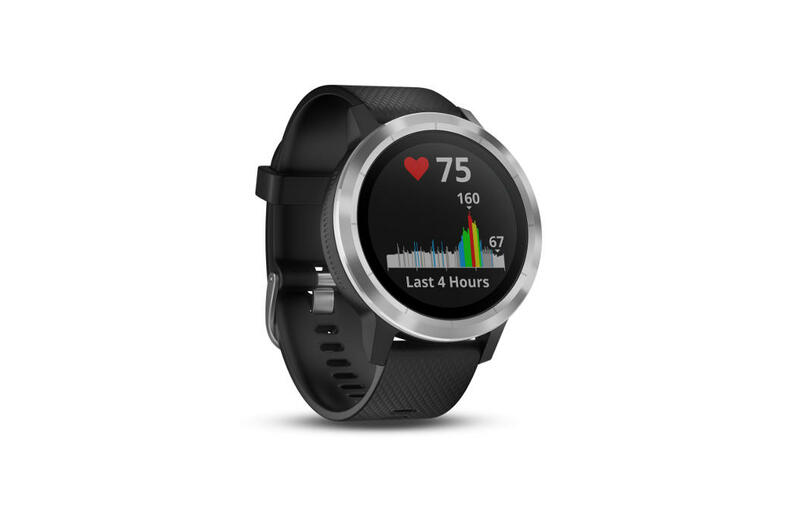 In addition to the very good Garmin Connect App, it also comes with a GPS receiver, 24/7 heart rate, resting heart rate and stress level measurement as well as a water resistance of 5 ATM. With the help of the GPS sensor you can track outdoor activities such as running and cycling. It also helps in the gym because it records strength and repetition training. The battery lasts about 7 days, in continuous GPS mode up to 8 hours. Smartphone notifications are of course also included. Especially the price of the Huawei Band 2 Pro is unbeatable. 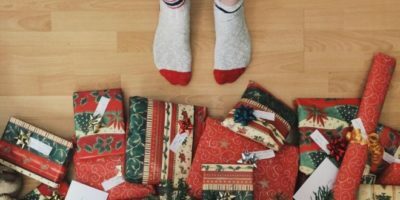 Because it brings many highlights for the small purse: These include an integrated 24/7 heart rate sensor and, of course, an activity tracker for recording steps, distances, calorie consumption and sleep. Furthermore, it is waterproof and suitable for swimming. An integrated GPS receiver keeps track of running distances and records speed, movement and distance. It is also possible to create individual or pre-defined training plans to prepare for competitions (5 km, half marathon, marathon,…) and this adds value. Cheap and uncomplicated activity tracker. From our point of view the tracker is more suitable for people who simply want to count their steps and record their sleep as well as simple sports activities such as jogging. The Vivosmart 3 Basic Fitness band is also a convincing choice. In addition to 24×7 activity recording (steps, calories, distance, daily goals, sleep tracking), it also supports HR sensors, offers a battery life of approx. 5 days and is waterproof (5 ATM). But what distinguishes it from other wristbands is its ability to automatically record strength training units and sets and store them in the app as such. The Vivofit range is known for its minimalist features and its outstanding battery life of approx. one year. When the battery is empty, it is replaced with another battery. 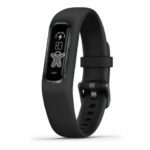 The Vivofit 4 masters the basics of a good fitness band: 24×7 activity recording (steps, calories, distance, daily goals, sleep tracking), waterproof (5 ATM), timer, stopwatch, easy to read display, inexpensive. The entry-level model Fitbit Alta HR with simple tracker functions convinced us in the test. It is particularly suitable for people who want to lead a more active and health-conscious life. It also comes with a sleep tracker and heart rate sensor. Above all Fitbits good fitness app scores in the interaction with the Alta HR. 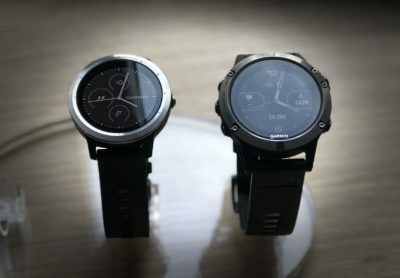 The Garmin Swim is certainly a good swimming watch, but the Fenix 5 offers much easier ways (smartphone/WLAN) to synchronize the swimming units. Plenty of (configurable) swimming options/data fields and reliability in recording swimming units. Automatically recognizes the swimming style. 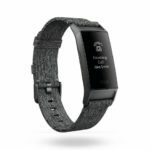 In addition, it has an integrated heart rate sensor, floor counter, supports many other sports, smart functions and configurable smartphone notifications and much more. The Vivoactive 3 also has an activity tracker, a color touch display, good battery life, supports many sports sensors and is expandable and customisable with sports apps/ widgets. We recommend the models Ambit3 Peak and Sport. Open water swimmers will love the Ambit3 Peak/Sport, because hardly any other GPS multi-sport watch does its job so well here. The main difference between the Ambit3 Peak and the Sport is the barometric altimeter. The Apple Watch 3 currently offers probably the best overall frame among the Sport Smartwatches. It leaves nothing to be desired, is very elegant, light, has a very good color display, has a very good GPS receiver, a heart rate sensor and is suitable for various sports. In addition to running, the Apple Watch 3 also provides plenty of swimming metrics while swimming. Of course, as Smartwatch it supports countless sports apps and other functions without having to rely on the smartphone. The battery lasts 3 days depending on the use of the features, in reserve mode even longer. Based on one of the smartest platforms par excellence and on Polar sports features, the Polar M600 is the fitness watch with the best combination of fitness and Smartwatch features under Android. It is based on Android Wear and provides the well-known Polar training functions as an app for Android Wear. Other highlights include the accurate 6x LED heart rate sensor, GPS, WLAN, Smart Coaching functions (such as training benefits), a local 4 GB memory for music, playback of music via Bluetooth headphones that can be directly paired with the M600 and much more. The OH1 is a flexible heart rate monitor band with 6 LEDs. The textile wristband is elastic and can be worn on the upper or lower arm. Compared to wrist-worn sports watches with heart rate sensor, better results can be achieved in some sports. In particular, this refers to sports in which the wrist is flexed (cycling, weight training), direct vibrations make heart rate measurement impossible (cycling on bumpy paths/roads) or the muscles are so tense that the heart rate measurement is distorted. The results can be synchronized with Polar’s Flow fitness platform. Very flexible heart rate wristband with the proven technology of the manufacturer Mio. Since the wristband is flexible, it does not have to be worn on the wrist like most other heart rate wristbands/heart rate watches with integrated optical heart rate monitor. It is also highly compatible with other devices and apps. It has an ANT+ and a Bluetooth Smart interface. Highly compatible bike computer that is compatible with many fitness sensors (ANT+ as well as Bluetooth 4.0) and fitness platforms such as Strava or Garmin Connect and is also very easy to use and set up. Many things are configured and automated in no time at all, so that the cyclist does not have to spend a lot of time on complicated adjustments. Another strength is its display, which is always easy to read. We would have liked a bit more navigation features, but for most of them the existing possibilities for orientation should be sufficient. Very compact and versatile GPS bike and training computer with support for Strava live segments. It also stores the power-related anaerobic threshold and provides a VO2max calculation and recovery time indication for cycling when used with a power meter and heart rate monitor. A variety of online (live) options complete the package. The M450 has an integrated GPS, a barometer and is distinguished by its waterproof housing, among other things. still new on the market, but promising and similarly equipped to the Garmin Edge 1000, but with only a Bluetooth Smart and no ANT+ interface. 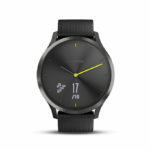 With its ANT+ and Bluetooth Smart interfaces, the BlueSCv2 is compatible with many sports and fitness watches and bike computers. It is easy to assemble and therefore quick to move to another bike and can also be easily used with the included or compatible favorite smartphone app if you want. 2019 could be the year of the SpO2 sensor: Some manufacturers like Fitbit have already installed the sensor in several models and only need to activate it. Other manufacturers, such as some Garmin models, already have it active and estimate oxygen saturation. The manufacturers are hoping that the sensor data obtained will provide indications of sleep disorders (sleep apnea). Another upcoming feature is blood pressure measurement at the wrist, as Samsung is currently trying to do with its new models. 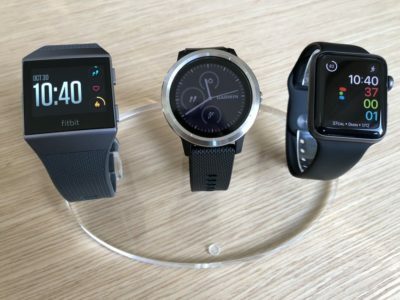 Candidates for inclusion in the lists of the best fitness watches, sports watches and fitness trackers 2019 are already available and could soon replace competitors. We have them all in our sights and will keep on testing. The sections above will be updated later this year as we get the feeling through our reviews that we need to make a change. 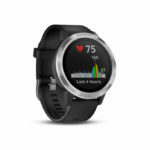 By Jay|2019-03-23T19:04:19+00:00March 23rd, 2019|Categories: Recommendations|Tags: cycling, detection gps, fitness and activity, heart rate monitor without pulse strap(optical/bio-impedance), multi-sport, Running, Smart Watch, swim|Comments Off on The best fitness watches & GPS sport watches 2019 from our reviews! 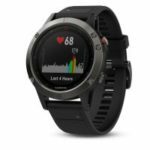 Garmin Vivoactive HR vs. Vivoactive 3 vs. Fenix 5: Which one should I buy? Fitbit Ionic vs Apple Watch 3 vs Garmin Vivoactive 3 – Which one should I buy?